Ongoing Operations conducts hundreds of Disaster Recovery Tests for Credit Unions every year. Our tests are designed to be much more realistic than testing from 10 or 15 years ago. Credit Union Disaster Recovery Testing can be very complex and should be taken in intervals. If you have never conducted Disaster Recovery Tests before we recommend following a five step program to gradually increase the scope and complexity of the test. Process – Start with making sure you do a tabletop exercise first. This ensures your staff have a basic understanding of the recovery process. We find that Credit Unions have between 75 and 150 different business processes. Systems – Have your IT Department recover servers, data, and telecom independently of the rest of the organization. Make sure they can meet established RPO and RTO objectives. Combine Process and Systems – Conduct a Disaster Recovery Test that combines the human and technology elements into one Test. This will be much harder and is a significant step forward in your testing process. Move to Live – Conduct a full failover and failback using your recovery solutions. Very few clients ever get to this as it does include some risk and can be disruptive. However it is the best way to validate and establish expectations for a real event. In general we find it takes a few hours of effort to properly scope and design the test. 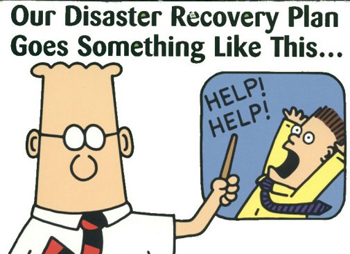 The actual disaster recovery test can take up to two full days depending on the depth. Many of our clients test multiple times in a year.